Remodeled! 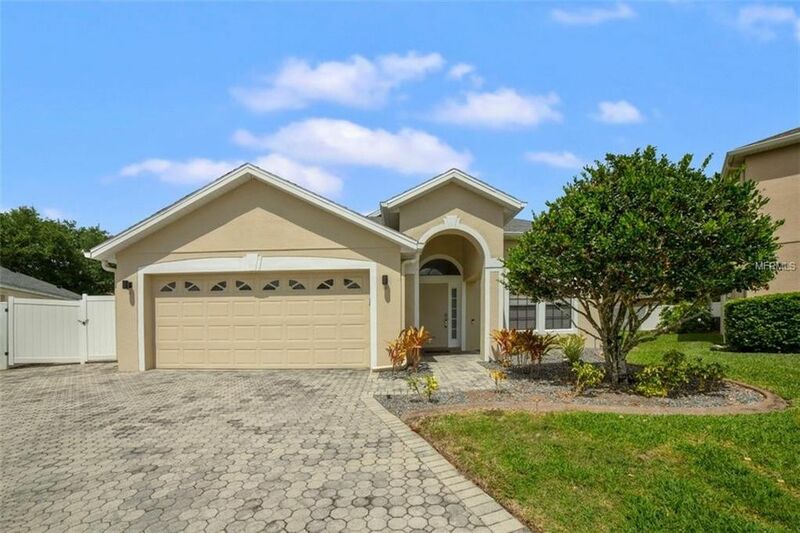 1-level pool home in beautiful East Orlando in Cypress Lakes. This community offers great amenities and the home sits on a large cul-de-sac with a beautiful paved driveway. This stunning home went through a major remodel in 2017 with many top-line features throughout! The AC system was replaced in 2017 with smart feature. Walk in the front door to gorgeous 12x18 glass tile mud set flooring with crack suppressant throughout the entire home! This floor plan features a living/dining room combo, an open concept kitchen that opens up to the family room and a bright dinette, split bedrooms, spacious master suite with a walk-in closet, an indoor laundry room w/washer & dryer included and an incredible BIG backyard retreat with an extended paved deck, a large screened in lanai and an open pool with water features. The stunning custom kitchen has top-line Samsung appliances including a microwave drawer, built-in oven, range top, dishwasher, refrigerator and an excellent over the range hood w/ventilation through the roof. The kitchen also has a large island, tile backsplash, quartz countertops, espresso maple cabinets, under cabinet lighting and a deep 1-piece sink. The master suite has an amazing bathroom w/upgraded and spacious shower, walk-in closet and birch wood border trim and a coffered ceiling. Other upgrades include smart LED lighting, all new light fixtures, auto blinds throughout, water softener system, fenced, smart pad, wood tile wall in the dining area and many other details! Must See! Directions: From East Colonial to Chuluota left to Cypress Lakes right to right on Oak Grove Chase Dr to Woodfield Hill. Successfully assisting sellers and buyers since 2000!